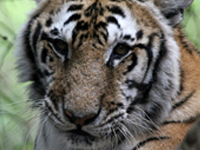 Please join Animal Defenders International (ADI) in urging the United Nations Development Programme (UNDP), production company FINCH and global manufacturer Mars to reconsider their well-meaning but ill-conceived ‘The Lion’s Share’ fund. Launched in June 2018 in Cannes, the initiative – championed by Special Ambassador David Attenborough – encourages advertisers to contribute 0.5% of their advertising spend when using animals in their promotional campaigns to “support animals and their habitats around the world”. The honourable but fundamentally flawed fund could lead to a rise in the use, and suffering, of wild animals in advertising, hindering conservation efforts. Research shows that presenting wild animals within a human environment, and as objects of fun, can negatively distort people’s perception of their conservation status, undermining efforts to protect them. Worryingly, the founder of FINCH Rob Galluzzo has stated that “Nine out of the 10 most popular animals we see in commercials are actually endangered or threatened” highlighting the risks these species face by their use in advertising. If this is not tackled, it could negatively impact wild populations of at-risk species. Animals used in advertising are deprived of all the normal, social and mental stimulation that they would enjoy in the wild. They live in barren environments, where they remain until wanted. During training their compliance is ensured through physical violence, threats and withdrawal of food, water or affection. With extensive expertise studying the use of animals in the entertainment industry, ADI has shown that the real training, including discipline or abuse of captive animals used for entertainment, tends to occur off set and away from public view. This makes it almost impossible for advertisers to ensure that a performing animal has not suffered during a lifetime of training. Provided with evidence of the inherent suffering and abuse, a growing number of advertisers have committed not to use wild animals in recent years – please help urge those behind The Lion’s Share not to put animals back in harm’s way. Urge the United Nations Development Programme (UNDP), FINCH and Mars to turn The Lion’s Share on its head and seek commitments from advertisers who pledge NOT to use animals. I am writing to express my shock and disappointment that The Lion’s Share initiative supports and promotes the use of wild animals in advertising. This honourable but fundamentally flawed initiative will harm not only wild animals used in advertising but efforts to protect their kind in the wild too. Research shows that presenting wild animals within a human environment can negatively distort people’s perception of their conservation status, undermining efforts to protect them. Animals used in advertising are deprived of all the normal, social and mental stimulation that they would enjoy in the wild, their compliance ensured during training through physical violence, threats and withdrawal of food, water or affection. It is impossible for advertisers to ensure the animals they use have not suffered. A growing number of advertisers have committed not to use wild animals in their campaigns and I urge you not put animals back in harm’s way. 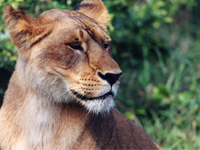 Please seek commitments for The Lion’s Share only from advertisers who pledge NOT to use animals, doubling the positive impact the fund will have. Thank you for your consideration of this request. I look forward to hearing from you soon.